CANCELED - Children's Story Time with Ms. Lynn! Wednesday, Apr. 10, 2019, 10:30 – 11 a.m. It is Children's Story Time at the Douglass-Truth Branch! 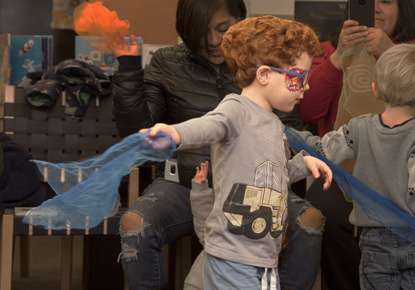 Bring your preschoolers and toddlers to enjoy stories, dancing, singing and parachute-play with our children's librarian, Ms. Lynn.